As your nonprofit begins rethinking your fundraising strategy, the best place to start is by partnering with a nonprofit fundraising consultant. Plan and/or direct fundraising campaigns. Train your nonprofit’s staff in fundraising skills. Strengthen your fundraising strategy on an ongoing basis. Fundraising consultants have a lot to offer nonprofits. Not only do they bring a valuable third-party perspective to the table, but they also have a diverse range of experience working with nonprofit organizations across the sector. When your organization is in a fundraising rut, it never hurts to enlist a fundraising consultant to show your team how to correct course. After you find a fundraising consultant who seems like a good fit, send them an RFP (Request for Proposal) to see how they’d approach advising your nonprofit. If they impress you with their proposal, decide whether or not they seem like the right partner. When you’ve made your decision, then you can start working together to revitalize your nonprofit’s fundraising strategy. Now that you’ve embarked on a partnership with a fundraising consultant, it’s time to begin evaluating where your current fundraising strategy needs the most attention. An ineffective fundraising strategy isn’t just about missing your campaign fundraising goals. In fact, struggling fundraising strategies likely have many areas that need serious attention before you can expect to start raising the money you need. Too few givers returning campaign after campaign to make necessary gifts. Key prospects falling through the cracks due to behind the scenes confusion. Stretched campaign budgets that can’t account for necessary operational costs. An incomplete or nonexistent nonprofit software strategy. During the initial stages of your partnership with your consultant, members of your team should identify where they think your fundraising strategy needs attention. While this won’t be a scientific diagnosis, it will set your consultant on the right track to determine where your fundraising strategy needs to improve. Later, your consultant will provide a more in-depth analysis. Even if your fundraising strategy isn’t working as well as your team had hoped, that doesn’t mean that there aren’t aspects of your strategy that work really well for your needs. In reworking your fundraising strategy, it’s necessary to be aware of where your nonprofit is excelling. This way, you can rework your strategy in a way that builds off of these strengths and elevates your fundraising strategy across the board. Strong relationships with longtime returning contributors. A realistic understanding of how to put fundraising proceeds to use. A robust database with useful information and analytics tools. A strong relationship with your surrounding community. Once your team has a better understanding of what works about your current fundraising strategy, you’ll be better equipped to fix what’s broken. This helps conserve your organization’s resources and eliminates a lot of the guesswork from improving your fundraising strategy. For example, if you know that you have a dependable list of returning contributors, you might focus on upgrading those supporters rather than recruiting a large number of new givers who might not come back to give in the future. Before you can improve your fundraising strategy, you’ll also need to be able to quantify that improvement. Similarly, to know where your strategy has historically faltered you’ll need to have the data in place to identify problem areas. ROI (Return on Investment). How profitable have your latest campaigns been, and were they worth the money you invested in them? Supporter retention rate. How many of your supporters return to give from fundraising campaign to fundraising campaign? Contributor attrition rate. How many of your contributors are you losing after just one gift to your nonprofit? Giving upgrade rate. How many of your returning givers are opting to give a significantly larger contribution to your cause? If your nonprofit doesn't have easy access to this kind of data, this could be contributing to ongoing issues with your current fundraising strategy. During your partnership with your fundraising consultant, getting your fundraising data in line may be a key step in improving the success of your fundraising strategy. Finally, when your nonprofit is ready to make serious changes to your fundraising strategy, your consultant will often conduct a feasibility study for any upcoming campaigns. A fundraising feasibility study gives your nonprofit a chance to take a step back and look at the way you plan campaigns to see where you’re missing the mark in this important stage of the process. 1. First, your consultant will meet with your team to build an interviewee list of key stakeholders in your organization. 2. Next, he or she will draft feasibility study questions to ask these stakeholders that get at the heart of how they feel about your nonprofit. 3. After that, they’ll interview the stakeholders and compile the results for analysis. Not only can feasibility studies provide insight into the viability of your proposed fundraising campaigns, but they also act as an effective team building tool for your community. When you show stakeholders that their feedback is essential to the success of your nonprofit, it’s more likely they’ll show their support down the line as givers or fundraising ambassadors. While some nonprofits may be tempted to skip this step in the fundraising strategy optimization process, feasibility studies are truly one of your most valuable resources and are worth the time, effort, and investment. 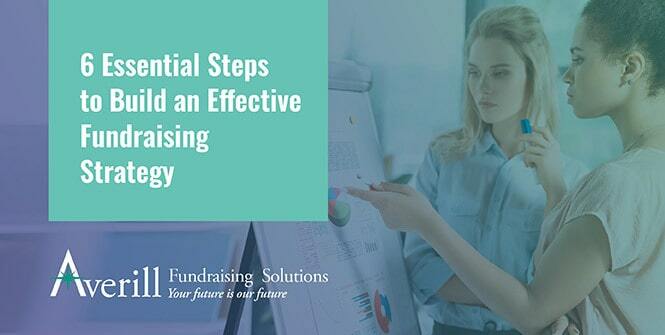 Once you’ve completed your feasibility study, your consultant will analyze the results and develop a set of next steps for your team to take in order to strengthen your fundraising strategy. During this stage, it’s important to heed the advice of your consultant and accept the findings of the feasibility study. All too often, nonprofits fail to translate the results of feasibility studies into productive changes in their fundraising strategy, leading to inevitable fundraising failure later on. As you start reforming your fundraising efforts and laying the groundwork needed to achieve your goals, never forget that strengthening your fundraising strategy is a continual effort. Even though you’ve just restructured your strategy, you’ll still need to periodically look back and assess its suitability as you continue fundraising. This is why partnering with a perfect-fit fundraising consultant is such an essential part of this process. When your team can trust they’ll be there for your next campaign (or your next dozen campaigns), you can be confident their assessment will be designed with your fundraising future in mind. Ready to revolutionize the way you fundraise? By following these steps and picking a perfect fundraising consultant partner, you’ll never worry about missing your fundraising goals again.